A question we are often asked is: Should I take vitamins during cancer treatment? It is an extremely important question considering a few statistics. In 2008, it was noted in the Journal of Clinical Oncology that between 64 and 81 percent of cancer patients were using a vitamin or mineral supplement (in contrast to 50 percent of the general population) and that between 14 and 32 percent of these people started taking supplements after their diagnosis of cancer. The simple answer is: "The only one who can answer that question is your oncologist." A better answer is: "Ask your oncologist before you take any type of supplements, but check out some of the considerations below—the reasons for and against—so you can better understand your doctor’s answer and decide together.” Never take a vitamin, mineral, or antioxidant supplement without first consulting your doctor as this can be dangerous for some people with cancer. This article covers some of the possible risks and benefits of supplements, but it's important to note a few things. There are many types of cancer, and even with a single type of cancer there are tremendous differences. Add that to each unique person, with their own body characteristics and other medical conditions, and it's easy to see why even something that may seem like a simple question is very complex. A list of vitamins and minerals needed for health, as well as a list of common dietary antioxidants, can be found at the end of this article. One of the main reasons oncologists often don't recommend vitamin and mineral supplements or antioxidant formulas is because they could counteract the effects of chemotherapy or radiation therapy. Free radicals in our bodies (produced by substances such as tobacco smoke, radiation, and normal metabolic processes) can damage the DNA in our cells (mutational damage which can lead to cancer.) This damage is called "oxidative damage" since the reaction involves oxygen. Antioxidants produced by our bodies and ingested in our diets work by essentially neutralizing these free radicals and preventing oxidative damage; thus protecting cells. The thought is that antioxidants may protect cancer cells from being damaged by chemotherapy and radiation therapy. We don't want to "protect" cancer cells. There are some studies, especially in people who smoke, in which people using supplements had worse outcomes. A 2008 study showed that vitamin C supplements decreased the effectiveness of chemotherapy by 30 to 70 percent among human leukemia and lymphoma cells in a laboratory setting. Other studies suggest that high-dose vitamin C may have benefits for people treated for cancer—at least in the lab. Studies looking at human breast cancer cells in a lab have found that vitamin C decreased the effectiveness of tamoxifen. In these studies it was thought that vitamin C interfered with apoptosis, that is, cell death, in cancer cells. Some of the risk may be more theoretical. A 2007 review of studies from 1966 to 2007 found no evidence that antioxidant supplements interfered with chemotherapy, and some researchers believe that antioxidants may help to protect normal cells without interfering with the effectiveness of cancer therapy. This review included studies using glutathione, vitamin A, vitamin C, vitamin E, ellagic acid, selenium, and beta-carotene and concluded that antioxidants may improve tumor response to treatment and survival rates, in addition to aiding patients' tolerance to treatment. Another systematic review of 33 studies found evidence that using antioxidants with chemotherapy resulted in less toxicity, which in turn allowed people to complete full doses of therapy. The exception was one study which showed an increase in toxicity in those using a vitamin A supplement. This review evaluated studies using N-acetylcysteine, vitamin E, selenium, L-carnitine, Coenzyme Q10, and ellagic acid. There are many examples of possible interactions, but a simple example is that of vitamin E potentially increasing the risk of bleeding in people who are taking the blood thinner Coumadin. In general, the rule for getting vitamins and minerals during cancer treatment is "food first." And for a good reason. We don't have as many studies looking at the use of antioxidants during cancer treatment, but the use of these supplements with the goal of cancer prevention has revealed some interesting findings. For example, seeing how a high dietary intake of beta-carotene was associated with a lower risk of developing lung cancer, a large study looking at the use of a beta-carotene supplement found that the risk of lung cancer was actually increased. 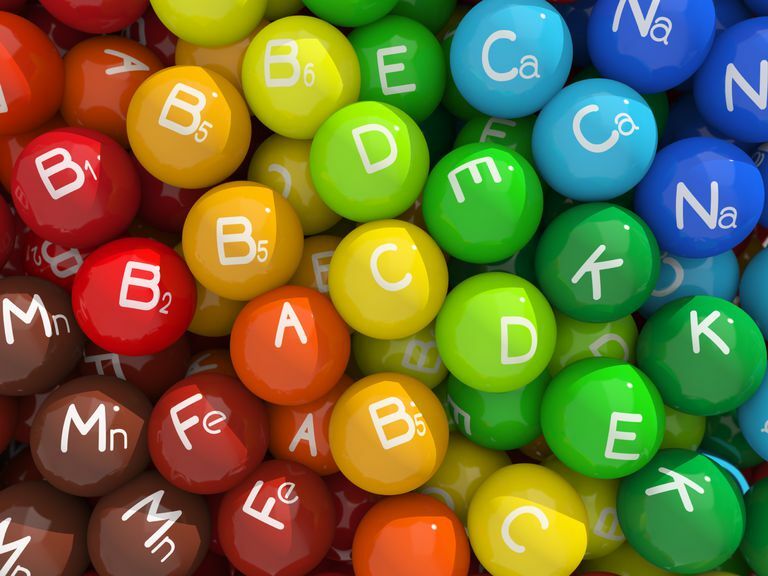 Similar were findings with prostate cancer, in which dietary vitamin E is associated with a lower risk, but a study evaluating vitamin E supplements found an increased risk. Theories have been proposed to explain this. Perhaps there are phytochemicals (plant-based chemicals) in food aside from beta-carotene that are responsible for the cancer prevention properties. Another theory that's been proposed is that receiving one antioxidant as a supplement may result in the body absorbing less or using less, of another important antioxidant. Sometimes taking a supplement for one concern may raise another concern. An example is a study in which people with melanoma were treated with selenium. Researchers found that the supplement was associated with a lower risk of developing a second cancer in the lungs, colon, or prostate, but was also associated with an elevated risk of diabetes. Most oncologists recommend eating a healthy diet and do not believe the antioxidants derived from foods pose a threat to the effectiveness of cancer treatments. If you wish to increase your dietary intake of antioxidants check out these foods with the most antioxidants. Interpreting some of the information on antioxidants during cancer treatment is difficult for many reasons, one of which is the different methods used. Some studies are done on rodents, and effects in rodents may or may not be the same as those in humans. Many of these studies have been done on human cancer cells grown in a dish in a lab. While this does give us some good information, it doesn't take into account the myriad of other processes going on in the human body that could alter the response seen in the lab. With side effects of loss of appetite and nausea common with cancer, nutritional deficiencies are not uncommon. Talk to your doctor about this possibility. Some researchers have theorized that supplementation could help reduce cancer cachexia. Cachexia is a syndrome of unintentional weight loss, muscle wasting, and decreased appetite that affects up to 50 percent of people with advanced cancer. It's felt that cachexia contributes directly to 20 percent of cancer deaths. Sadly, with the exception of fish oil which might help, nutritional supplements have not been found to aid in this syndrome. Since cancer treatments such as chemotherapy and radiation therapy predispose survivors to other cancers, it has been hoped that the risk of a second cancer could be reduced with the use of antioxidant supplements. As noted above, in one study people with melanoma treated with selenium had a lower later risk of developing lung, colon, or prostate cancer (but with an increased risk of diabetes.) Just as supplements (as opposed to dietary antioxidants) have not shown consistent results in preventing cancer, there is not much evidence that these supplements would be helpful in preventing a second cancer in survivors. Studies have been mixed with regard to antioxidants increasing or reducing the toxicity of chemotherapy, but some research suggests they may improve quality of life for some people during cancer treatment. In one study, an antioxidant mixture containing vitamin C, vitamin E, melatonin and green tea extract was found to decrease fatigue in people with pancreatic cancer. An oft-quoted study supporting the use of vitamin supplements during cancer treatment showed an increase in the length of survival. This 2009 study revealed a longer than expected median survival time, with 76% of the patients longer living longer than was predicted (median increase in survival 5 months.) It’s important to note that this was a very small study (41 patients) conducted with people considered to have end-stage cancer who had a predicted life expectancy of only 12 months. These patients were treated with a supplement of coenzyme Q10, vitamins A, C, and E, selenium, folic acid, and for those without lung cancer, beta-carotene. For several reasons, vitamin D deserves special consideration with regard to its role in cancer treatment. The first reason is that it may be difficult to get an adequate amount of vitamin D by dietary measures. While the recommended daily allowance is 400 to 800 IU's per day depending upon age, studies looking at cancer prevention have looked at higher numbers-- up to 1000 to 2000 IU's per day. We think of fortified milk as being a source of vitamin D, but at 100 IU's per glass it would require drinking 8 glasses per day just to reach the 800 IU's recommended for a 70-year-old man or woman (much less the dose studied in cancer prevention studies.) The sun is a good source of vitamin D, requiring only short amounts of time with arms and face exposed to absorb upwards of 5000 IU's. That is, if you live in a region where you can be outside with your arms and face exposed and if the angle of the sun at your latitude allows the absorption of vitamin D-producing rays. This can be a problem in northern climates. For this reason, many physicians recommend a supplement of vitamin D3. Who should be taking a supplement? Thankfully your doctor has a simple way of determining this. A simple and inexpensive blood test can provide you and your doctor with a measure of your blood level of vitamin D (rather, the body's breakdown products). While this won't tell you what your total body "store" of vitamin D is, it can be used to determine if a supplement is needed and guide treatment. Keep in mind that the majority of people in the United States are vitamin D deficient. There have been many studies that have evaluated the role of vitamin D both in cancer prevention and in cancer treatment. Low blood levels of vitamin D are associated with an increased risk of several cancers, and a high vitamin D level is associated with a lower risk of developing breast and colorectal cancer. People who have higher vitamin D levels at the time of diagnosis have longer survival rates from lung cancer than those with lower levels. And, regarding our question about using vitamins during cancer treatment, low vitamin D levels appear to increase the risk of breast cancer spreading (metastasizing). Perhaps the most dramatic effect has been seen with colon cancer. A large National Cancer Institute study found that people with high vitamin D levels were 76 percent less likely to die from their disease than people with low levels of the vitamin. Since some cancer treatments predispose to osteoporosis, and vitamin D aids calcium absorption, an adequate vitamin D level may also affect quality of life for some cancer patients. Vitamin D is not an antioxidant. It actually functions more like a hormone than a vitamin in the body. Even though much of the research shows a positive role of vitamin D for at least some people with cancer, it's very important to talk to your doctor before using a supplement. In fact, your doctor will want to monitor your levels to see if they change if you begin a supplement. The normal range of values may not be the ideal range for someone with cancer. For example, at the Mayo Clinic in Minnesota, the normal range for vitamin D levels is 30-80. Yet some studies suggest that a level of 50 is better than a level of 31. Vitamin D supplementation is not for everyone. There are potential side effects including a very painful one—kidney stones—if levels are too high. If your oncologist does recommend a supplement, there are a few things to keep in mind. Again. Only use vitamins or minerals (or any other nutritional or herbal supplements) if your oncologist does not think these could be harmful in your particular situation. The potential risks and benefits noted above are just a glimpse to demonstrate why vitamin and mineral supplements need to be considered individually for each person. Your doctor may recommend using or avoiding vitamin or mineral supplements for additional reasons. Always bring all over-the-counter medications and supplements with you to each oncology appointment. Don't be fooled by advertising that says "natural" or "plant-based." An example is hemlock. It is natural, it is plant-based, and it can even be grown organically. Yet it's thought by many that it was the poison referred to in Romeo and Juliet. In fact, many strong chemotherapy drugs are plant-based. Use only the recommended dose. More isn't necessarily better and could be harmful. Keep in mind that supplements often contain levels of vitamins and minerals which far exceed what you would get eating a normal diet. In addition, there is little regulation of these supplements in the United States, and some products could contain traces of pesticides and heavy metals. Use only good quality vitamins and minerals. Check to see if they have been evaluated by ConsumerLab.com. Also check to see if there is a USP or NF seal on the label, indicating that quality control testing has been done on the product. Continue to discuss your intake of vitamins and minerals at each follow-up visit. Many clinical trials are in progress, and information could change—in either direction—as we learn more. American Society of Clinical Oncology. Cancer.net Nutrition Recommendations During and After Cancer Treatment. 03/2014. Block, K., Koch, A., Mead, M., Tothy, P., Newman, R., and C. Gyllenhaal. Impact of antioxidant supplementation on chemotherapeutic efficacy: a systematic review of the evidence from randomized controlled trials. Cancer Treatment Reviews. 2007. 33(5):407-18. Greenlee, H., Hershman, D., and J. Jacobson. Use of antioxidant supplements during breast cancer treatment: a comprehensive review. Breast Cancer Research and Treatment. 2009. 115(3):437-52. Heaney, M., Gardner, J., Karasavvas, N., Golde, D., Scheinberg, D., Smith, E., and O. O’Connor. Vitamin C antagonizes the cytotoxic effects of antineoplastic drugs. Cancer Research. 2008. 68(19):8031-8. Hertz, N., and R. Lister. Improved Survival in Patients with Endstage Cancer Treated with Coenzyme Q10 and Other Antioxidants: a Pilot Study. International Journal of Medical Research. 2009. 37:1961-7 1. Lawenda, B., Kelly, K., Ladas, E., Sagar, S., Vickers, A., and J. Blumberg. Should supplemental antioxidant administration be avoided during chemotherapy and radiation therapy?. Journal of the National Cancer Institute. 2008. 100(11):773-83. National Cancer Institute. Antioxidants and Cancer Prevention. Updated 01/16/14. National Cancer Institute. High-Dose Vitamin C (PDQ). Updated 04/08/15. Peralta, E., Viegas, M., Louis, S., Engle, D., and G. Dunnington. Effect of vitamin E on tamoxifen-treated breast cancer cells. Surgery. 140(4):607-14. Subramani, T., Yeap, S., Ho, W., Ho, C., Omar, A., Aziz, S., Rahman, N., and M. Alitheen. Vitamin C suppresses cell death in MCF-7 human breast cancer cells induced by tamoxifen Journal of Cellular and Molecular Medicine. 2014. 18(2):305-13. Velicer, C., and C. Ulrich. Very important question Vitamin and Mineral Supplement Use Among US Adults After Cancer Diagnosis: A Systematic Review. Journal of Clinical Oncology. 26(4):665-673.